Battambang is also called as Krong Battambang, this is the capital city of Battambang province in the northwest of Cambodia. 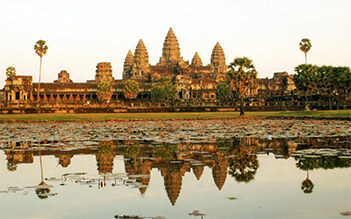 This city was formed in the 11th century under the period of the Khmer Empire. Battambang now is considered the cradle of the rice production of the country when this location is always on leading top of this good of the country. In the past, this city used to a major commercial hub and a provincial capital of Siamese province of Inner Cambodia from 1795 to 1907. 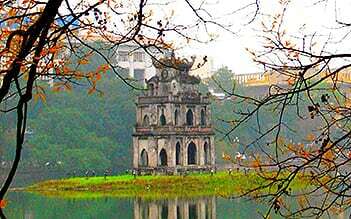 Most of the residents living in this city are Khmer people, but there are some other ethnic groups such as Vietnamese, Lao, Thai, and Chinese people. Now, this city is still the transportation hub in the northwest of the country which connects the capital of Phnom Penh with Thailand. Lied on the bank of the Sangkae River, nature offers this city a nurtured soil, a rich water source that are very suitable for planting the rice. When the French governed this land, they built many architectural structures that now become a notable aspect of the city. Like other locations in Cambodia, Battambang has undergone many ups and downs in history. This city firstly was formed as an important trading city in the 18th century. At that time, the population of the city is estimated around 2,500 residents living along a single road parallel to the Sangkae River. 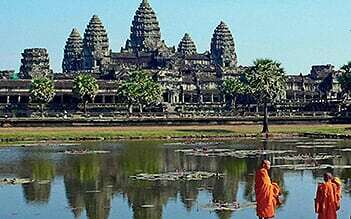 In 1795, the kingdom of Siam conquered and took the northwestern part of Cambodia including Banteay Meanchey, Battambang, Oddar Meanchey, Pailin, and Siem Reap into its territory. The Siamese ruled Battambang until 1907 when the province was moved hand to the French, that officially a part of the French Indochina colony.